When we talk about online streaming, there are many terms we come across, IPTV being one of them. We are experiencing a paradigm shift from traditional modes of broadcasting like cable or satellite TV towards internet based streaming and, IPTV as a system has a major role to play in this transitional phase. Customers essentially don’t care much about owning the content as much as they care about accessing content. This is where IPTV comes into the picture. Let’s take a closer look at what exactly IPTV is, how it works & it’s architecture, the types of IPTV services and the future of IPTV. IPTV refers to Internet-based Protocol Television where internet is used to deliver TV programs & Videos that are either live or on demand. IPTV is a system where digital television service is delivered to the subscriber through Internet protocol technology via the medium of broadband or internet connection. It is slightly different from digital video that is accessed by millions of users on sites or apps like YouTube or Netflix, but it shares quite a bit of the same ubiquitous, pervasive nature. Also unlike standard cable or satellite connection, in IPTV multiple TV sets can use a single subscription within a home. IPTV gives the viewers the added advantage and convenience of being able to pick the program they want to watch whenever and wherever they feel like watching it apart from tuning into any Live TV shows that are being aired currently. Cable and satellite both function by enabling users to “tune in” to specific channels within that signal and the fundamental difference is that cable is via a wired connection whereas satellite is wireless (until it reaches your house, anyway). A prime example of Cable TV is Time Warner Cable that is delivered via coaxial cable connection and an example of Satellite TV is from providers like DirecTV that is transmitted and delivered to the viewers via radio waves. IPTV uses Internet protocol (IP) based network to deliver TV channels to users’ set-top box. Internet networks differ from cable and satellite by offering content through the same client-server model that renders email, websites and other Internet-based services. As we will see mentioned further in this blog, IP or Internet Protocol is the language that is used for transferring data packets between computers attached to the internet network. The consumer requests and receives TV Shows and Video content is delivered to the viewer via Internet Protocol (IP) based networks instead of cable or satellite. Unlike cable or satellite where content is broadcast in real time, on a transmit and forget the model, IPTV has the ability to store the programming on servers at transmitting end, allowing users to request the content over the Internet at any time. IPTV is much similar like browsing the internet than traditional channel surfing. It merely uses IP (Internet Protocol), a transport protocol which is a delivery mechanism to deliver the videos to the viewer. When the viewer clicks on any TV program or requests the video, video from different sources (servers) is divided into data packets and sent over the internet. Video servers transmit programs through fiber-optic cable to existing household via internet connection and requests are sent out and shows are sent back. Let’s take a look at the IPTV architecture to better understand how IPTV works. Depending on the network architecture of the service provider, there are two main types of IPTV architecture that can be considered for IPTV deployment: centralized and distributed. The centralized architecture model is a relatively simple and easy to manage solution. Because all media content is stored on centralized servers, it does not require a comprehensive content distribution system. Centralized architecture is generally good for a network that provides relatively small VOD service deployment, has an adequate core and edge bandwidth and has an efficient content delivery network (CDN). Distributed architecture is just as scalable as the centralized model, however, it has bandwidth usage advantages and inherent system management features that are essential for managing a larger server network. Operators who plan to deploy a relatively large system should, therefore, consider implementing a distributed architecture model right from the start. 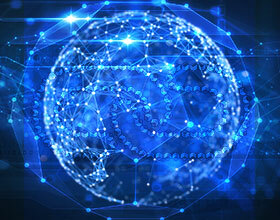 Distributed architecture requires intelligent and sophisticated content distribution technologies to augment effective delivery of multimedia contents over service provider’s network. Broadcast content from Satellites and Local Antennas are received by the central unit. The central unit is where live TV channels and AV sources are encoded, encrypted and delivered in the form of IP multicast streams. The Central unit will also contain the Advertising Servers, Live TV Streaming Servers, Video on Demand (VOD) servers & platform and is where on-demand video assets are stored and served as IP unicast streams when a user makes a request. The VOD platform may sometimes be located with and considered part of, the IPTV’s central unit. The requested videos and TV Channels are delivered to the viewer via the delivery network which consists of a robust internet uplink via Fiber Optics from the IPTV broadcasters end. The viewer will receive this signal at their end via their local or preferred internet service provider which can vary from a range of options like broadband, fiber optics, DSL etc.. When the viewer subscribers to a particular IPTV service they are provided with the service’s specific Set Top Box (STB). A set top box is the piece of endpoint equipment that decodes and decrypts TV and VOD streams for display on the TV screen. This STB is connected to the viewers’ internet connection (router) and uses the internet to deliver the video and TV content to the viewer. 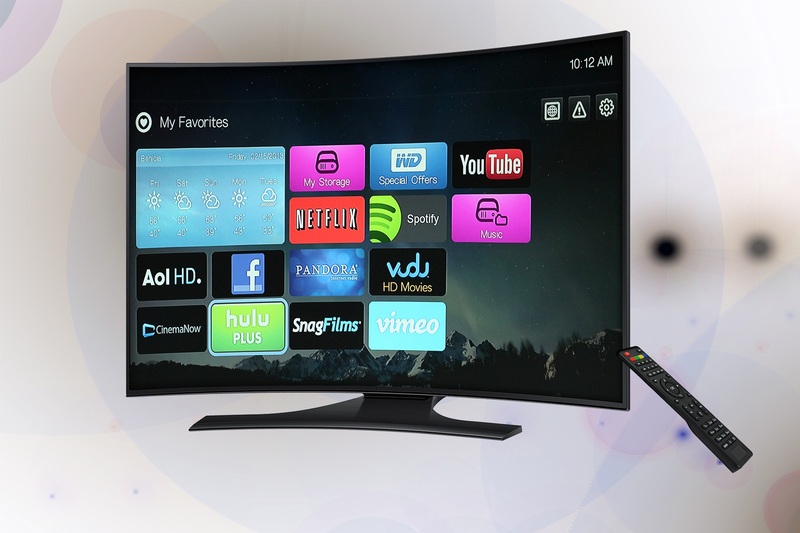 The viewer requests the videos or TV Channels via an interactive portal in the STB, that allows the viewer to navigate within the different IPTV services, such as the VOD catalogue. While this is a typical example of an IPTV architecture model, due to a wide variety of service providers in the market today and the IT options available in the market, each service provider may decide to implement a slightly different architecture that suits their needs, geographic area, end point internet connectivity, local market conditions & requirements, and business model. However, at the core, the principles remain the same and may not be too different from what you see here. 1) Video on Demand: Individual delivery of video content to a subscriber. It allows users to watch any movie from the VoD server’s media library. 2) Near Video on Demand: It is a pay-per-view video service intended for multiple users subscribed to nVoD service. The content broadcasting schedule is compiled beforehand and subscribers can look at the schedule and watch content according to their interest. 4) TV on Demand (TVoD): Selected TV channels are recorded so they can be viewed whenever convenient. 5) Live Television: with or without interactivity added to currently broadcasted TV shows. IPTV has been on a continuous growth path in the last few years. The total number of worldwide IPTV subscribers has now passed the 130 million mark. The net additions of six million subscribers are the highest in last 24 months to end-2015. They were boosted to a large extent by the usual suspects such as China, which saw 3.7 million new IPTV subscribers sign up in Q4 2015. Europe and Asia are the leading territories in terms of the overall number of subscribers. But in terms of service revenues, Europe and North America generate a larger share of global revenue, due to very low average revenue per user (ARPU) in China and India, the fastest growing (and ultimately, the biggest markets) is Asia. According to a report by Zion Market Research, the global IPTV market is expected to grow at a CAGR of around 18.01% to make USD 93.59 billion in 2021 from around USD 34.67 billion in 2015, between 2016 and 2021. Another report by Transparency Market Research predicts revenues will reach $79.38 billion by 2020 compared with $24.94 billion in 2013, growing at a solid compound annual rate of 18.1%. IPTV gains in market share will be largely at the expense of cable, with satellite holding up quite well. Indeed satellite platforms actually gain from IPTV growth as they feed channels to the headends for distribution across the terrestrial fixed broadband infrastructure. IPTV networks are available in countries including Russia, Great Britain, Canada, France, Belgium, India, Germany, China, Sweden and even the Dominican Republic, according to this list of global IPTV providers obtained from Reddit. Although there are global players providing IPTV service fuelling its growth, we observe a shift in IPTV usage and believe that viewing habits will transition more towards OTT and SVOD as services like Netflix and Hulu as part ongoing trend. Muvi helps you launch your own OTT Streaming service by providing an end-to-end offering which comprises of IT Infrastructure, CDN, Online Video Platform, DRM, Player, CMS, Monetization options and Payment Gateway integration to front end interfaces like Websites and Apps for Mobile and TV, all deployable out-of-the-box in 1-Click, no IT teams or coding required! Click here to get started with your own Multi-Screen OTT Service today!